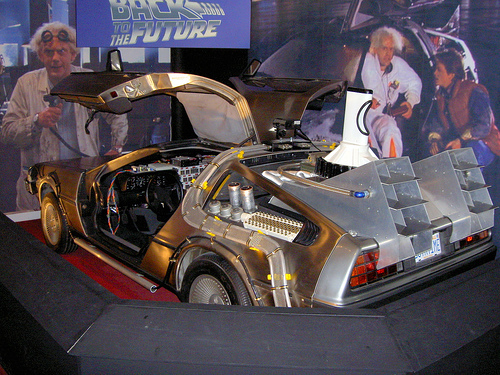 Can We Go Back to the Future on the End Time? May 24th, 2009 12:05 AM | by William Bell | Day of the Lord. If there has ever been a subject hard to be understood it is that of the “already but not yet” of New Testament eschatology. In a chapter from “The Last Things” edited by Carl Braaten and Robert W. Jenson, includes a chapter on hints from Science for Eschatology — and Vice Versa, written by George L. Murphy. It isan attempt to understand the end of the world in the light of science. 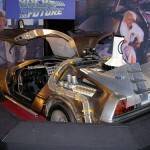 Can we go back to the future on the end time? What this means is that we must go backwards to get to the Bible future for the end, not to the future. Of course, an interpretation based upon science may rules out such a notion. However, God did not write eschatology as science. In the sixth century John Philoponus, who in debating with pagan Proclus, argued for inherent destructibility of the world on the basis of the Platonic and Aristolian physics of the time. Later scientists speculated about a “heat death of the universe” on the basis of the Second Law of Thermodynamics. However, new developments in physics have shown that the universe is not contracting but in actuality expanding or growing. Scientist reason that it is impossible to conceive a limit to the extent of matter in the universe; and therefore science points to an endless progress through an endless space. Murphy wisely observes that natural science does not encompass the fullness of God’s purpose for the world. In other words, natural science cannot interpret or explain Bible eschatology. “But the natural man does not receive the things of the Spirit of God, for they are foolishness to him; nor can whe know them, becasue they are spiritually discerned…For ‘who has known the mind of the Lored that he may instruct Him?’ But we have the mind of Christ.” (1 Cor. 2:14-16). However, Murphy’s blindspots on the future are expressed in his caution that one errs in concluding that the ‘ressurection is past already” by citing 2 Tim. 2:18, (Hymeanaeus and Philetus). He then argues for that “not yet” by reverting back to John 5:28-29). This is where all brands of futurism is stuck. They are in limbo between an alleged already but not yet eschatology. This blindness can easily be cured, if one stopped long enough to find the remedy, right within the pages of the New Testament. It is the most abused, misused and obstinately resisted area of modern eschatology. What is it? A lack of perception and acceptance of the apostolic parameters, or Divine time frames for fulfillment of that “not yet” future of the New Testament. They used very clear language to say, that although the end had not arrived when the epistles were written, it was “near, at hand, and shortly to come pass” in a little while. Those familiar with the end times language will understand these terms. If not, see Romans 13:11, 12; Philippians 4:5, Hebrews 10:37; James 5:7-8; 1 Peter 4:7, 17; 1 John 2:18; and Revelation 1:1-3. By blindly ignoring and attempting to explain away imminent language futurists are locked into a never arriving but can come at any moment view of the end. Thus what is needed is a “back to the future” approach, i.e. a back to apostolic future versus to a 21st century future. Viewed from this perspective, the apostolic future occurred within their own generation. It was the predicted end of the age associated with the destruction of the temple in Jerusalem. Christ promised all would happen before the first century generation passed. “Assuredly, I say to you, this generation will by no means pass away till all these things take place. (Matthew 24:34). Futurists either take exception to “all things” and claim that the end time parousia is excepted from this verse. Or, they claim a peculiar meaning for the phrase “this generation” and separate it from the common use of this term in other places in Matthew, even as compared with Matthew 23:36. Both leads to an unnatural “future of the future” interpretation and a trip to “never never land for the time of the end. It’s time we get “back” to the future of New Testament eschatology by placing the “not yet” in its proper apostolic setting. Learn more about the first century fulfillment of the end time. Get a copy of the Re-Examination, a study of the Christ’s return in AD 70. « Blessed Are the Meek For They Shall Inherit the Earth?